Before any required therapeutic procedures, all patients should undergo a preoperative medical examination by colleagues in primary care medicine and/or anesthesiology. Patients with renal failure should also be evaluated by nephrology. In relatively rare instances, a patient's overall medical condition may require optimization before proceeding with the required therapeutic interventions. 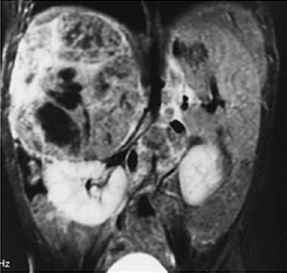 In rare instances, this may include the use of hemodialysis before proceeding with relief of upper urinary obstruction. Acutely ill patients should be appropriately monitored in the hospital setting. In fact, those patients deemed too unstable for therapeutic intervention should have their clinical situation optimized in the intensive care unit setting.